It's a common problem that you mistakenly format your camera memory card. And most cameras provide you an option of "format" to delete all your photos. Now you must be anxious to search on the internet: how can I recover formatted photos? In a matter of fact, most digital cameras these days DO NOT delete pictures permanently from your memory card (SD card) when you delete photos using the Format button. So you don't need to be too worried whether you're using a Nikon, Sony or Canon, you have a good chance to recover formatted photos. But there's one thing you should pay attention to. This is what happened to my friend Rachel. She went to Paris this summer and took a lot of wonderful pictures. Since she's using a new camera and not so familiar with its operation, she accidentally formatted its SD card. All the photos are done. She's searching for ways to recover the formatted photos but meanwhile she's still using this camera and the same memory card. Then I told her this is very wrong because new photos will overwrite the space where the old ones are located. Then it appears that she can just recover parts of the photos in Paris, and some of which are in complete. Although Rachel's recovery experience is not quite successful, we can still learn the steps. So now I will give you a step to step guide about how to recover formatted photos. How to recover formatted photos? I'm using Wondershare Photo Recovery. Free download and install Photo Recovery below. Use a card reader to connect your formatted camera card to a computer and make sure where it is located. 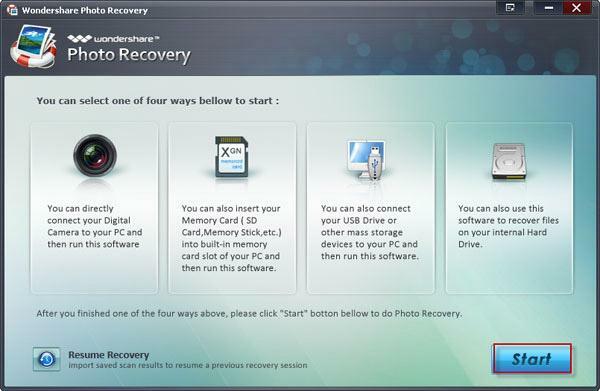 Download and install the free version of Wondershare Photo Recovery. 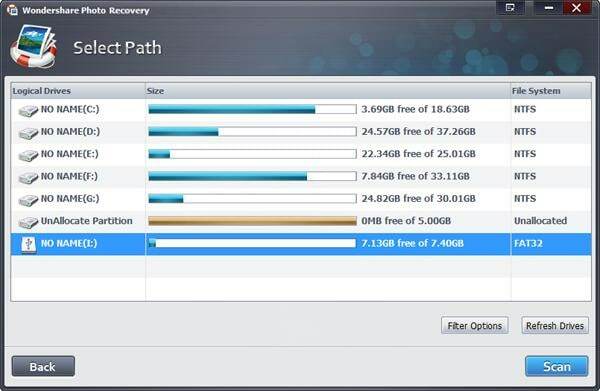 Don't install it on the memory card on which you want to recover formatted photos. "Start" the recovery now. 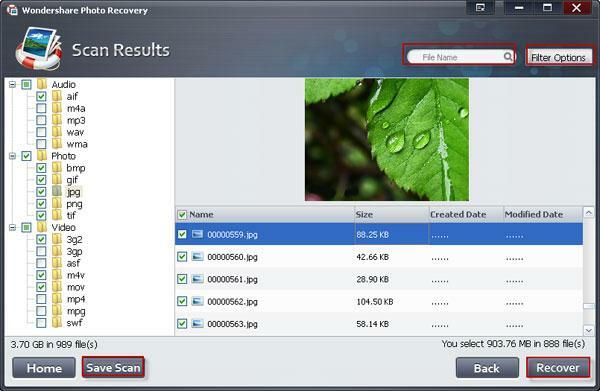 After starting Wondershare Photo Recovery, choose your card and begin to "Scan" the formatted data. Now you get a list of all recoverable photos on your memory card. Preview them one by one to check the quality. Check those you want back to "Recover". Remember don't store them to the card on which you recover formatted photos.